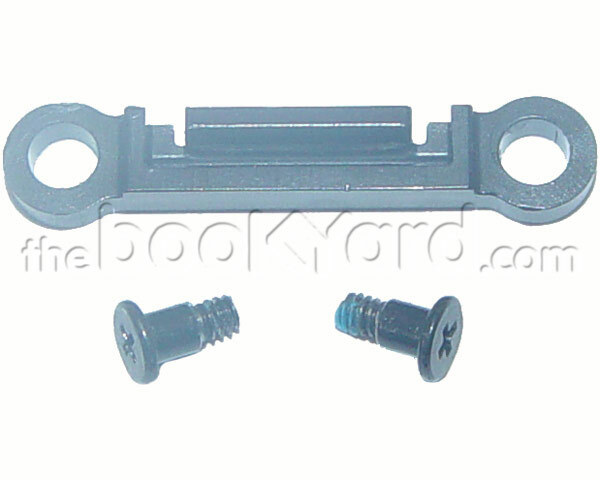 bottom case latch with mounting screws. This latch is used to clip the tabs on the bottom case to the top case. These screw into the underside of the top case on the battery and logic board divide.